Details of our next walk can be found here. 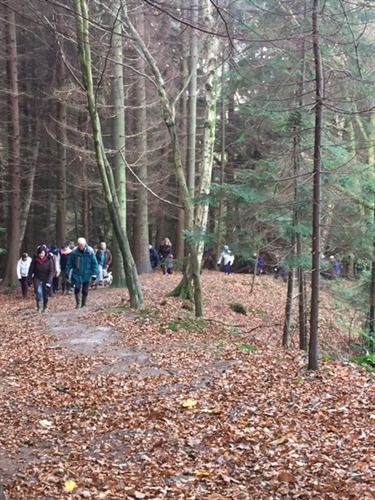 The Amblers walking group was started in April 2016 as part of the Forward for 5 initiative. Withyam Parish is made up of Groombridge, Blackham, Withyham and St.John’s and has around 40 miles of footpaths to be discovered together. 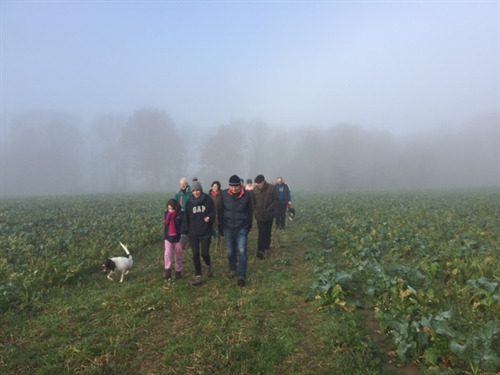 The Amblers meet on a monthly basis and ‘amble around the beautiful countryside’. The pace is relaxed, the walks are pleasant and there are always lovely views to admire along the way. The walks start in various places around the Parish and details of the next walk can be found here (link). On average we walk between 3-4 miles which usually takes about 1.5 hours at a very relaxed pace. The group can range in size from 10-40 walkers… the more the merrier so please feel welcome to come and join us - all you need do is meet us at the appropriate place and time. That’s all it takes! We are also able, on occasion, to tie the walks in with the Community Cafe which gives the walkers a welcome chance for a drink and slice of cake at the end of the walk. Come and discover our wonderful Parish on foot, enjoy some fresh air and meet new friends. The Amblers is run entirely by Withyham Parish Volunteers. If you are interested in helping with the group in some way then please let us know. We look forward to seeing you on our next walk! Well behaved dogs always welcome.